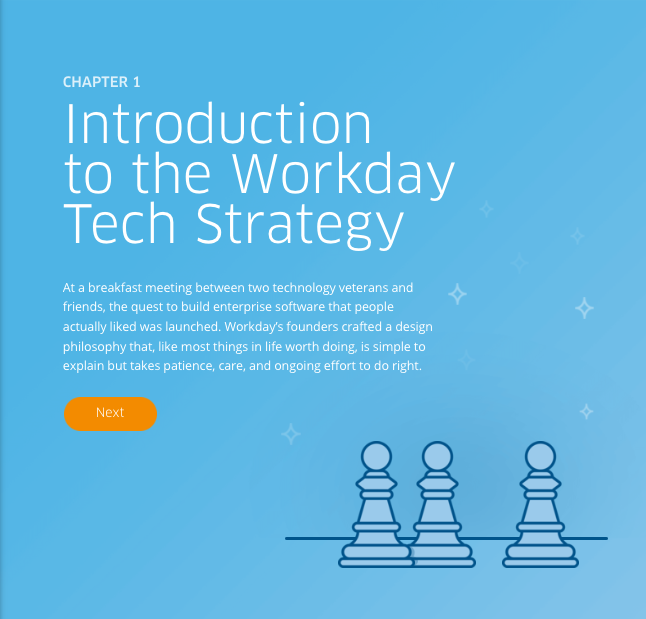 Welcome to the first installment of “The Workday Tech Strategy,” an interactive eBook that delves into the vision, philosophy, and fundamental principles for Workday technology. We don’t just explain what went into building the Workday platform, but also the why. Upcoming chapters will take a closer look at how our products work, dive deep into our architecture, and outline some of our plans for a more open, connected future. Join us for a fast-paced read that both technical folks and non-technical folks should enjoy.